Sleeps 4 - Sorry no Pets. Taffs Barn is a unique property conversion situated less than ten minutes drive from the village of Rosemarkie on the Black Isle. The property sits in an elevated position with views across rolling farmland and down to the village of Rosemarkie and the Moray Firth. Inside the property is equipped and furnished to a high standard, a particular striking feature being the large lounge and the balcony area on the upper level, designed to take full advantage of the views. The property is ideally placed for exploring the Black Isle, and with good road connections it makes an ideal base for those wanting to explore the Northern Highlands and the West Coast. We do have another property Reyflat Barn at the same location which could be rented at the same time to provide accomodation for a larger family. Access to the property is through a spacious porch and hall area, on this level, guests will find the kitchen, a bedroom with a king size bed, and a shower room. 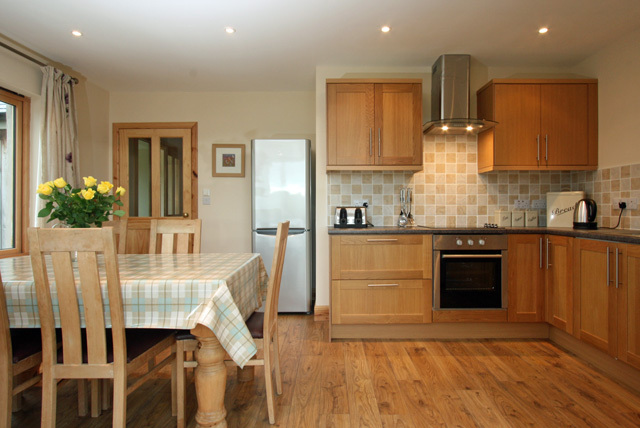 The kitchen is equipped with all the usual equipment, and has a dining table and seating for four, there is also direct access out to the garden and the patio area. 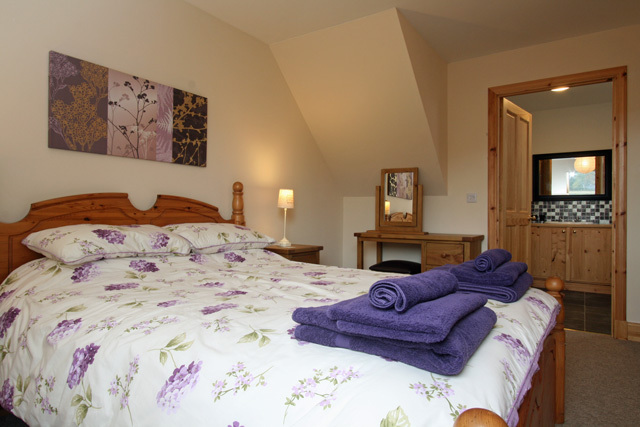 The bedroom is furnished with quality wooden beds and furniture, and enjoys views to the rear of the property. From the hall a carpeted staircase leads to the upper level, where the living area, second bathroom an en-suite bath/shower room are located. The living area is open plan and is particularly striking with its floor to ceiling windows and balcony area, designed to take full advantage of the views, the balcony benefits from a table and chairs, and is an ideal place to sit and relax after a day exploring. 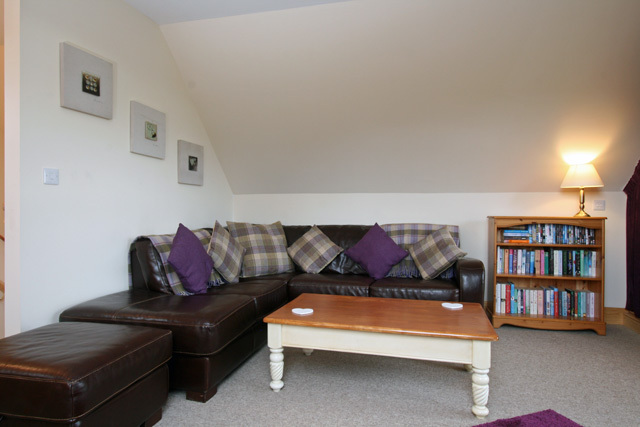 The living room is equipped with comfortable leather sofas and a flat screen TV with freeview and a DVD player. 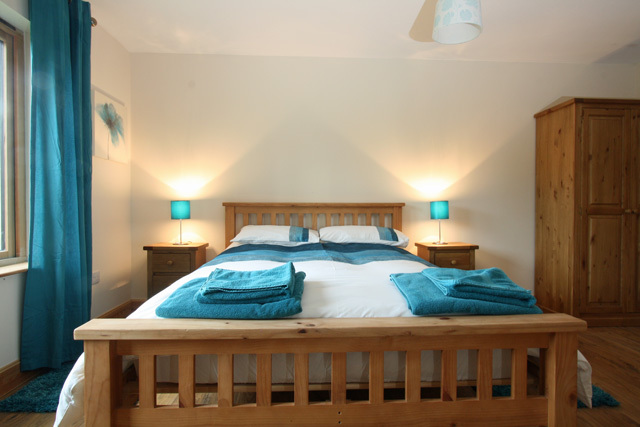 The master bedroom has quality wooden furniture and a king size bed, and benefits from having a large en-suite with a bath and separate shower. 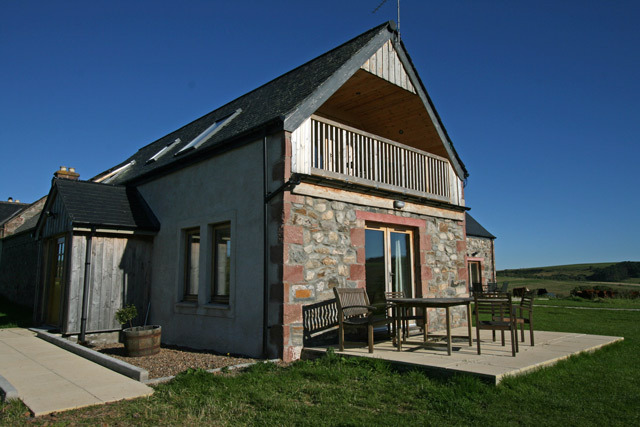 The property makes an ideal base for exploring the Black Isle. The largest settlement on the Black Isle is Cromarty. Here you will find the Cromarty Courthouse and Museum and various small shops and cafes, a particularly good one being the Sutor Creek Café which sells the local seafood. Staying on the Black Isle the small villages of Fortrose and Rosemarkie are worth exploring, a short distance from Rosemarkie is Chanonry Point. The point is one of the best places in the area to dolphin spot and has a small sandy beach. For visitors with young children a trip to the Black Isle Wildlife Park makes an ideal day out. The city of Inverness and Loch Ness is within twenty minutes drive and offers all the usual high street shops and attractions including an art gallery and museum and a theatre. Loch Ness is one of the most famous of Scotland’s lochs and is well worth a visit. 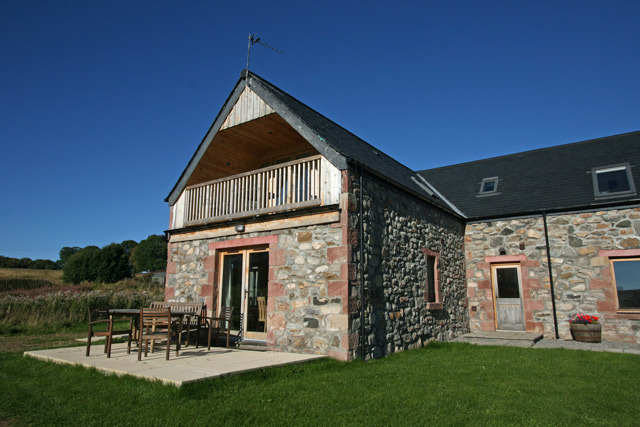 Travelling further afield the property makes an ideal base for travelling west to the Isle of Skye or the “Misty Isle” as it is often referred to and the west coast with all its rugged mountain scenery and wildlife. Travelling south the small town of Aviemore and the Cairngorms National Park can be reached within an hours drive. The park has something for everyone including areas to boat, walk, mountain bike, and for the more adventurous snowboarding and skiing in the winter months. One of the most popular days out is the funicular railway to the top of the mountain. Large spacious fitted kitchen with electric hob, oven and grill, microwave, fridge/freezer, dishwasher, and all the usual kitchen equipment, dining table with seating for four, doors to the patio area. Bedroom with king size bed, with views to the rear of the property. 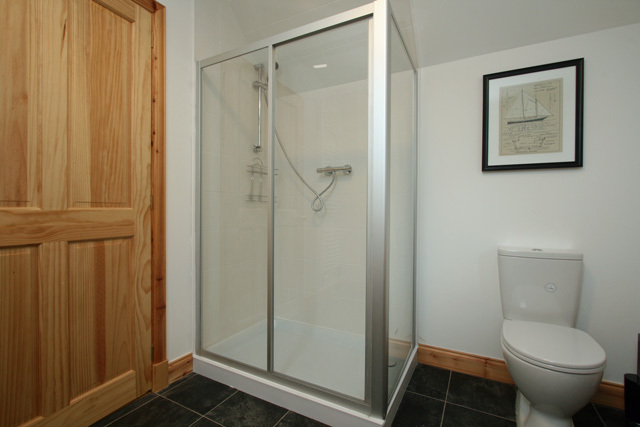 Shower room, shower cubicle, wc, whb, heated towel rail. Open plan lounge with leather sofa, Flat screen TV with freeview, DVD, CD, radio, iPod dock, access to outside balcony area, WiFi internet access. 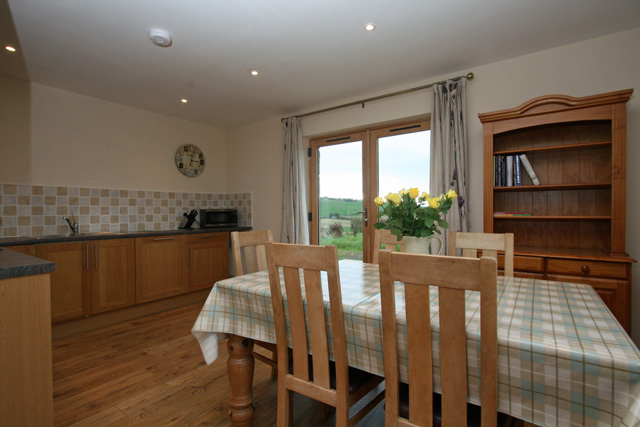 Balcony area with table and seating, views over surrounding farmland and down towards Rosemarkie village. 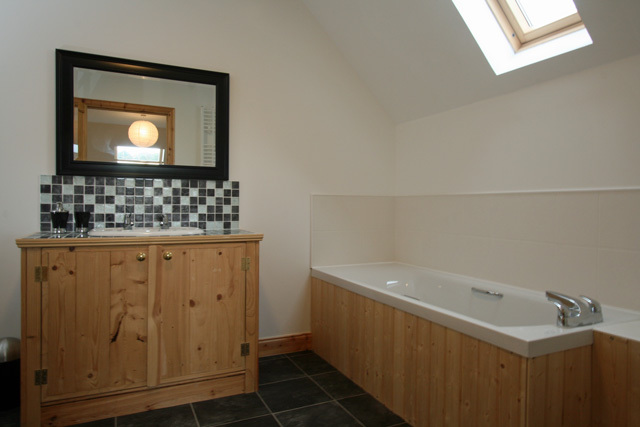 Master bedroom with king size bed and en-suite, with bath, double shower, wc, whb. All bed linen and towels. Underfloor and central heating costs. Garden with patio area, garden furniture and barbeque. Shared laundry facilities with washing machine and tumble dryer. Beautiful conversion of an original barn steading. Quiet location but with the village amenities of Rosemarkie close by. Superb area for cycling, walking, and dolphin watching. 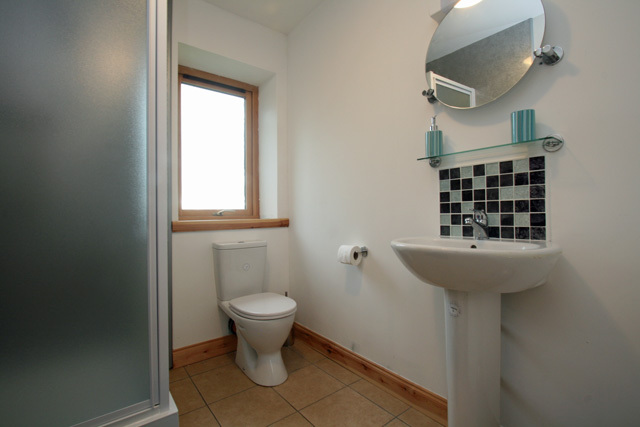 A great property - spacious, well-equipped, spotlessly clean, with a great view to the rolling countryside. When I stayed there, it proved to be a cool and airy place in which to escape the summer sun and heat..definitely recommended. We really enjoyed our stay in Taffs Barn. It was clean, comfortable, a good size, well appointed and in a serene location with great views. The owner greeted us shortly after our arrival, was very friendly, and even left us some delicious scones with clotted cream and jam. I'd very happily stay there again. We were delighted with this property, it enjoys a lovely quiet location with open views over the surrounding fields and countryside, and offers spacious well appointed accommodation. It is also a great base to visit the surrounding area including the chance to see the wild dolphins in the Moray & Cromarty Firths, we also had great views of a red kite that appears to live in the area. The owner is very pleasant and makes welcoming scones that are delicious. Our recent break at Taffs Barn was made all the more pleasurable by the how it was presented. It was one of the best we have stayed in. Clean, comfortable, everything you required, great views & the welcome pack of scones teabags milk jam & cream was greatly appreciated. We have already booked for next year & can,t wait to return, hopefully with better weather, but nothing deterred us from venturing out . This is a beautiful cottage in a beautiful part of the world. There is everything you need in the cottage and it is an ideal base from which you can go out and explore. We would certainly stay again. Highly recommended. 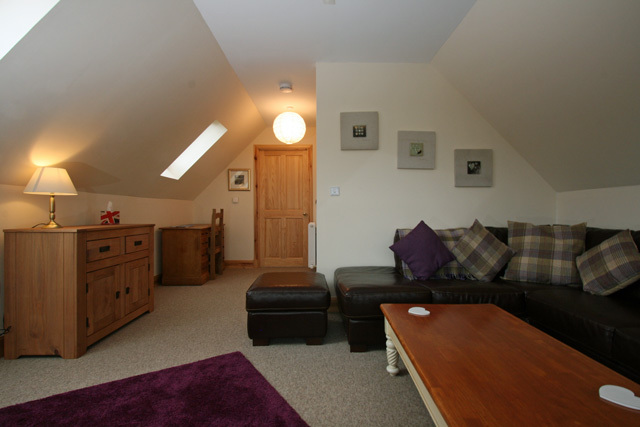 Taffs Barn is a very comfortable and well equipped accomodation. The owner was very friendly and we had a warm welcome with scones, clotted cream, marmalade, tea and milk. 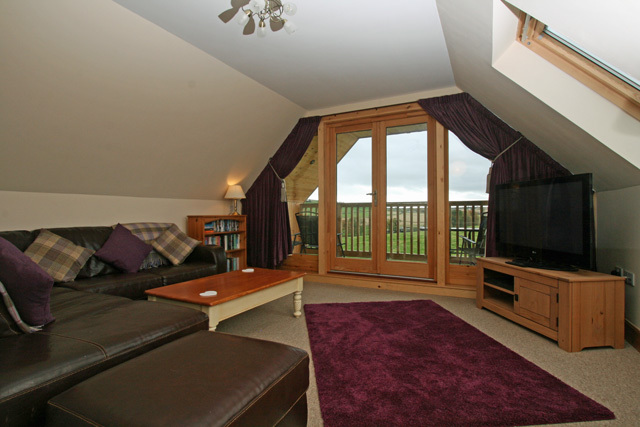 The cottages is suitable for family with two kids or for two couples as well.